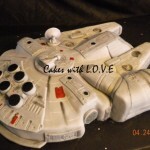 In the almost 2,000 blog posts that I have posted on Global Geek News, I have posted a handful of Millennium Falcon cakes (just search “Millenium Falcon Cake” in the search on the right) but this is the first LEGO Millennium Falcon I have posted. 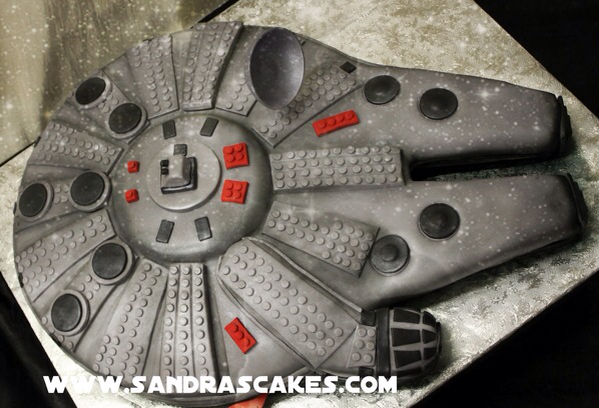 The creator of this awesome LEGO Star Wars themed Millennium Falcon cake was created by Sandra’s Cakes. 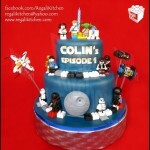 The level of detail on this cake is quite impressive with all of the little LEGO brick looking pieces. 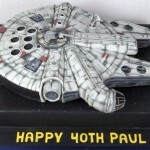 However, what I am most curious about is how they got the cake to have the look of a bunch of stars. 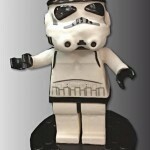 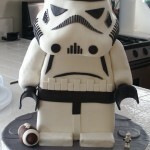 I don’t know if that is some kind of special fondant or what, but it gives the cake a really cool look!